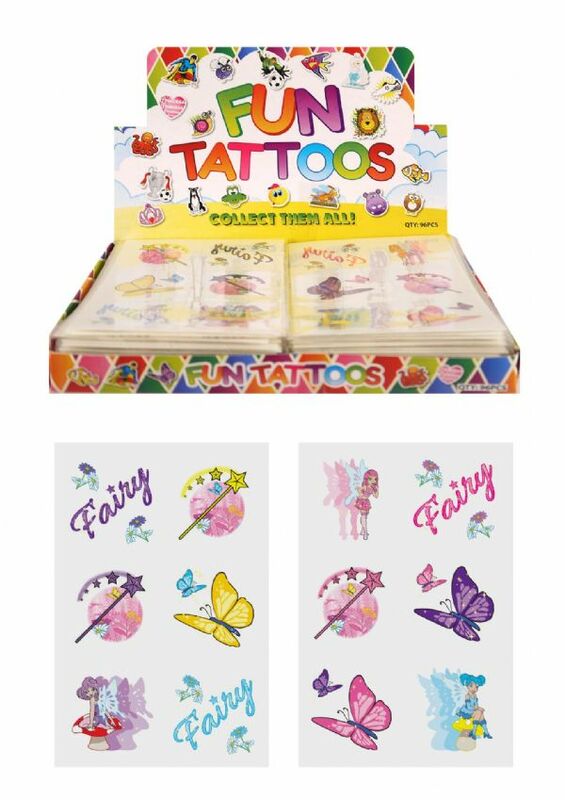 Fairy themed temporary tattoos - 12 different designs spread over 2 sheets of 6, each tattoo design is 4cm x 4cm. Excellent to fill your party bags or ideal for your fundraising events! Easy to apply with water and remove with baby oil. Suitable for 3+ year old. Caution: Do not apply to sensitive skin or if allergic to adhesive.